The Festivals of the Lord were a central part of the nascent Christianity practiced by the first-century church. Even Yeshua (Jesus) and His apostles observed the Lord's Festivals. So then, why do most Christians today dismiss God's Holy Days as archaic relics of the past? The original language of the Old Testament was primarily Hebrew, a language that is much more expressive than is English. Consequently, English translations of Hebrew words sometimes distort the original meaning of the text. One such problematic Hebrew word is “moedim”. This word is most commonly translated in our English Bibles as “feasts” or “festivals.” When we think of feasts or festivals in our modern vernacular, we typically think of festive occasions involving lots of food. However, the Festivals of the Lord are something entirely different. So what did Moses mean when he spoke of the Festivals of the Lord, i.e. the Moedim of Yahweh? The Hebrew word “moedim” is best understood as meaning “Divinely commanded appointments”. So the Moedim of the Lord are special appointments with God that He expects us to keep. Moreover, He has set aside these special days as holy convocations. But how are we to understand the phrase “holy convocations”? I won't be dogmatic in my interpretation of the phrase “holy convocation”, as Biblical scholars disagree on its meaning. However, I will define the Hebrew words translated as holy convocation. First, the English word “holy” comes from the Hebrew “qadash”, which simply means, “set apart” or “consecrated”. However, the meaning of the convocation is a bit more complicated. The word “convocation” comes from the Hebrew “miqra”. According to Strong's Concordance, “miqra” means (1) a called assembly, (2) a rehearsal, and (3) a reading. So let's look at each part of the definition. First, convocation defined as a called assembly suggests that we have been summoned to come before the Lord on His special Holy Days. Keep in mind that the Festivals of the Lord are not man-made holidays. On the contrary, they were ordained by our Heavenly Father. It is He, the Lord God Almighty, who has called us to come before Him on His appointed days. Second, convocation defined as a rehearsal suggests that we view the Festival days as preparation for an upcoming event(s). Now consider that according to the prophet Zechariah, all the nations that survive the Great Tribulation will come together to celebrate the Festival of Tabernacles and to worship the Lord Almighty. (Zechariah 14:16-17) This takes place during the 1000-year millennial reign of Christ. Since we all will celebrate the Festival of Tabernacles in the future, it only seems fitting for us to celebrate the Festival now. Just think of it as a rehearsal for praise and worship in the coming Kingdom. Third and finally, convocation defined as a reading suggests that the moedim are times for us to immerse ourselves in the Word of God. 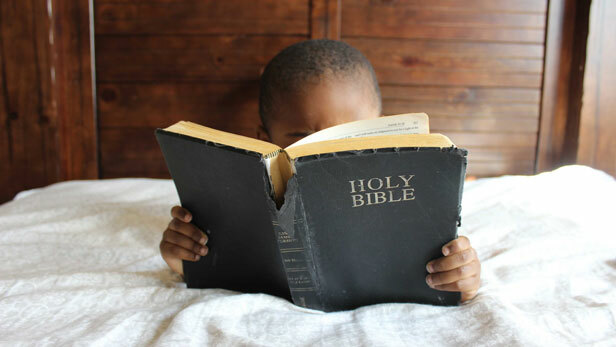 For instance, Nehemiah 8:8 tells us “They read from the Book of the Law of God, making it clear and giving the meaning so that the people understood what was being read.” In this instance, the word translated as “read” is miqra. These are God's Holy Days. The seven annual Festivals of the Lord foreshadowed God's still unfolding plan of redemption and restoration for all mankind. Beginning with Yeshua's (Jesus') death on the cross and ending with His second coming, the Festivals paint a picture of the redemptive and restorative work of Christ. 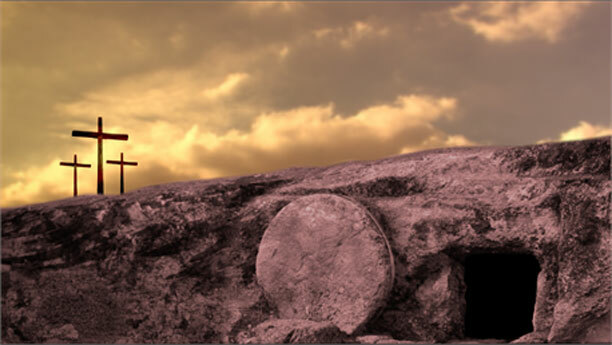 The first three Festivals of the Lord foreshadowed Yeshua's (Jesus') crucifixion, burial, and resurrection. First, Passover pointed ahead to Yeshua's crucifixion. In fact, Yeshua was crucified at the very time of Passover. Next, the Festival of Unleavened Bread pointed to the burial of Yeshua. In the Scriptures, leaven is a symbol used to represent sin. It was during the Festival of Unleavened Bread that Yeshua's sinless body laid in the grave. Finally, Yeshua, “the first fruits of the dead” (1 Corinthians 15:20), arose precisely on the day of First Fruits. 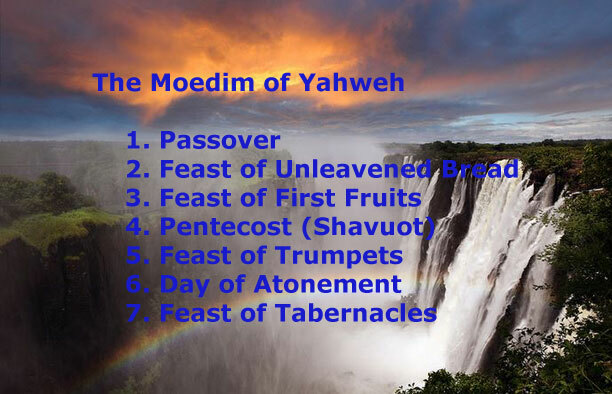 I find it fascinating that God orchestrated the events of Yeshua's death, burial and resurrection to coincide precisely with the time of Passover, the days of Unleavened Bread, and the Festival of First Fruits. Then, on the day of Pentecost, the climax of Yeshua's earthly ministry, God sent His Spirit to live with and within us. The pattern is clear; major events in God's plan of redemption happen on His Festival days. And since God does not change, it's only reasonable to assume that He will continue His divine pattern. In other words, it's only logical to expect that the events relating to Yeshua's second coming will coincide precisely with the remaining three Festivals of the Lord. With that in mind, consider the following. The fifth Festival of the Lord, the Festival of Trumpets, appears to foreshadow the rapture of the church. At this time, the Lord Himself will come down from heaven, with a loud command, with the voice of the archangel, and with the trumpet call of God, and the dead in Christ will rise first. Then we who are still alive will be suddenly caught up together with them in the clouds to meet the Lord in the air. And so we will be with the Lord forever. (1 Thessalonians 4:16-17) There is a good chance that the rapture will occur on a future Festival of Trumpets. The sixth Festival of the Lord, the Day of Atonement, appears to foreshadow the Second Coming of Christ. Coming at the end of the Great Tribulation, this is when all the nations are judged and all Israel will be saved. Furthermore, at this time, Satan is bound for a thousand years and cast into a bottomless pit. (Revelation 20:1-3) Praises be to the Most High God! When the Day of Atonement comes, it will set the stage for the seventh and final Festival of the Lord, the Festival of Tabernacles. The Moedim of the Lord are special appointments with God that He expects us to keep. But what are we to do with man-made holidays? The Bible makes it clear that we are not to conform to the patterns of this world (Romans 12:2), and that we are not to follow the customs [pagan religious practices] of the [heathen] nations (see Jeremiah 10:2). Let us apply these scriptures to the man-made holidays, Easter and Christmas. The resurrection took place on the Festival of First Fruits, yet most of the modern church has all but forgotten this Holy Day. Instead, Christians and non-Christians alike celebrate Easter. However, many of the customs traditionally associated with Easter are pagan in origin. Moreover, even the name of this festival comes from a pantheon of pagan goddesses (Ishtar, Astarte, Ashtoreth, and Aphrodite). The Bible describes these goddesses with terms such as vile, detestable, and abomination. (See 2 Kings 23:13) How can we possibly honor the redemptive work of our Savior with pagan fertility symbols that He calls detestable! Not only are Christmas traditions worldly, mostly rooted in paganism, and thoroughly non-biblical, but Christmas falls on the wrong date. It's a well-documented fact that the December 25 date chosen for Christmas had nothing to do with the actual birthday of Christ. Instead, it had everything to do with pagan celebrations already occurring on that date. Therefore, in my opinion, it is better to commemorate the birth of Christ during the Festival of Tabernacles rather than at Christmastime. Many “New Testament Christians” claim that the Festivals of the LORD have no relevance for us today. Some argue that the Old Testament Festivals were only for Old Testament times. But this argument overlooks the fact that one-third of the New Testament books reference observances of the Festivals of the Lord. Still, others claim that the Festivals are for “Jews only,” forgetting that according to Ephesians 2:14 (CEB), “He made both Jews and Gentiles into one group.” Therefore, from God's perspective, “There is no difference between Jews and Gentiles.” (Romans 10:12) Thus, the Festivals cannot possibly be for Jews only. Did the Festivals of the Lord, God's Holy Days, have relevance for the first-century church, the apostles of Christ, and for Yeshua (Jesus) Himself? Yes, yes, and yes. From the Gospels, we learn that Yeshua (Jesus), from His childhood to the night before His crucifixion, kept the Festivals. (See Luke 2:41-43, Matthew 26:17-19; John 7:10-14, John 7:37-38) Still, some will argue that the Festivals were “nailed to the cross”, but they forget that the apostles kept the Festivals long after the death, burial, resurrection, and ascension of Yeshua. (Acts 2:1-4; Acts 18:21; Acts 20:6, Acts 20:16; Acts 27:9) In addition, we must not forget that originally Christianity was merely a sect of Judaism. However, over time, Christianity emerged as a separate religion complete with its own holy days. Nevertheless, the Festivals of the Lord were an important part of the comparatively pure and uncontaminated Christianity practiced by the first-century church. The Festivals of the Lord are a rich part of our Judeo-Christian heritage. The first four of these Festivals now serve as commemorations of the redemptive work of Yeshua completed during His earthly ministry. And the remaining three Festivals appear to foreshadow His second coming. Besides this, the Scriptures make it clear that Yeshua, His apostles, and the first-century Christians observed God's Holy Days. So why then would we not also celebrate the Festivals of the Lord?